CORN PROGRESS IS SURGING AHEAD AS WE HEAR IN THE WEEKLY CROP REPORT. 81 PERCENT OF CORN IS IN THE DOUGH STAGE AND 21 PERCENT IS IN THE DENT STAGE. THAT COMPARES TO EIGHT PERCENT AT THIS TIME LAST YEAR. 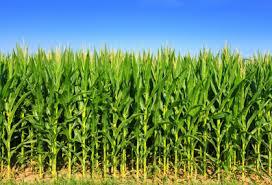 81 PERCENT OF THE CORN CROP IS IN GOOD TO EXCELLENT CONDITION…A SLIGHT IMPROVEMENT FROM THE PREVIOUS WEEK. CROP STATISTICIAN MARK SCHLEUSENER NOW TURNS TO SOYBEANS. 25 PERCENT IS SORGHUM IS TURNING COLOR AND THE THIRD CUTTING OF ALFALFA IS NOW 58 PERCENT COMPLETE. AVERAGE STATEWIDE TOPSOIL MOISTURE DROPPED TO EIGHT PERCENT VERY SHORT, 31 PERCENT SHORT, 59 PERCENT ADEQUATE AND TWO PERCENT SURPLUS.